In an apparent suicide attempt, a man has crashed a car into the headquarters of Germany's Social Democratic Party (SPD) in Berlin. He smashed through a set of glass doors in the car, was laden with petrol cans and gas cartridges. 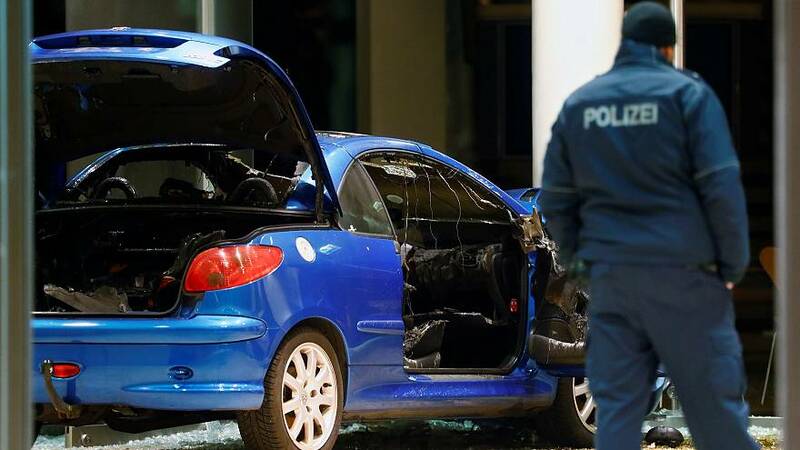 It was not clear why the 58-year-old targeted the SPD, which is about to start coalition talks with Chancellor Angela Merkel's conservatives. Nobody was hurt, apart from the suspect, who was taken to hospital for treatment of light injuries.